Pocket Casts features episode filters to help you organize episodes. Creating filters is a two step process. Step 1 is adding the filter name and selecting the color for the filter & icon, and the icon to display next to the filter name (these are visual selections only). Tap > CREATE FILTER. Step 2 is customising the filter. At the top of the screen you’ll see a selection of filter option chips. After you choose each option tap > Show Results. Just tap the vertical ellipsis ⋮ to access. If you don’t want to download all episodes, tap Filter settings and toggle Auto Download on (default is off). 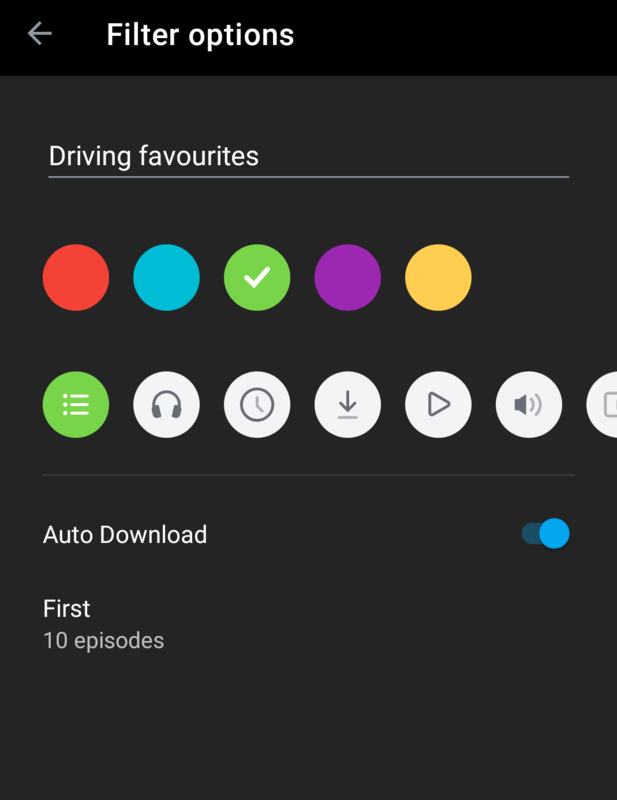 This will default to First 10 episodes but you can tap to change the selection to first 5, 20, 40 or 100. 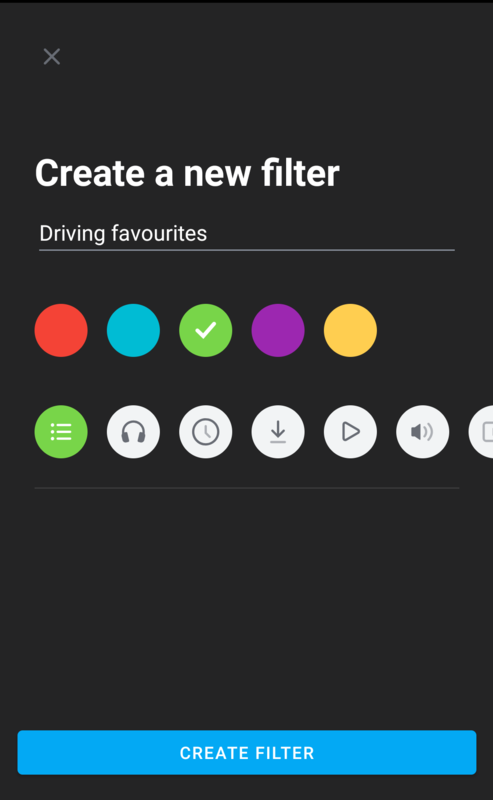 Get creative with your own filters by grouping podcast according to your weekly activities like driving, workouts/exercise or night time listening. Next time you’re ready to kick off your workout, your filter gives you quick access to all of your motivational episodes which you can either play individually or quickly add to your Up Next queue by swiping right on each episode.